S'PHARA PHARA is originally derived from the sound that trains make when riding over railway sleepers describing the constant and rhythmic knocking sound over sleepers. 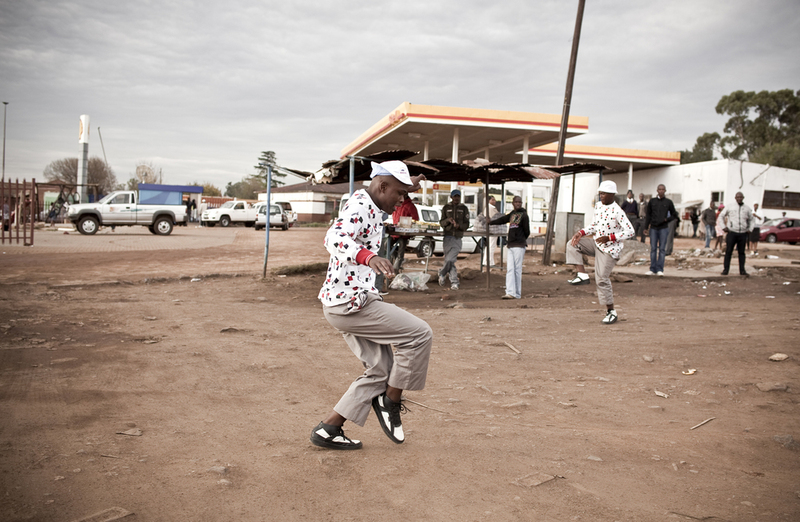 This has been adopted to describe the sound of dancer’s feet when they are dancing Pantsula, an energetic township style particular to South Africa. 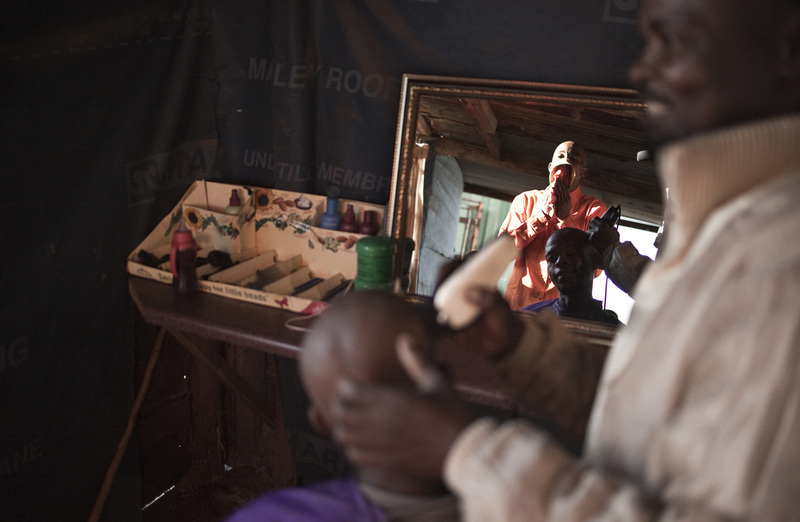 First published in Colours Magazine, this essay extends concerns that Saunders developed whilst on a residency in Italy at Fabrica in 2010, and fits into his larger documentary oeuvre that includes The Smarteez of Soweto and the Shangaan Electro Scene. The Real Actions Dance Crew have performed around the world and most recently at the opening ceremony of the 2010 FIFA World Cup. 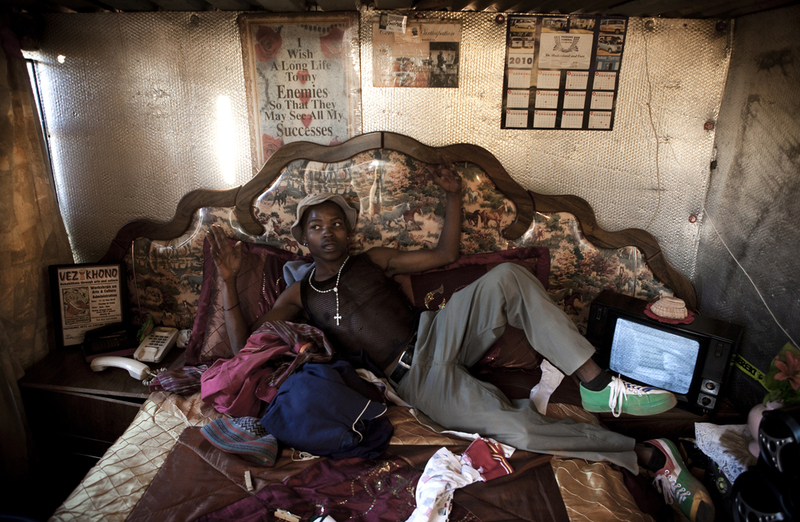 In this exhibition Saunders goes into the heart of Orange Farm to investigate how this collective, now in its third generation, has transformed the lives of its members through the medium of dance. 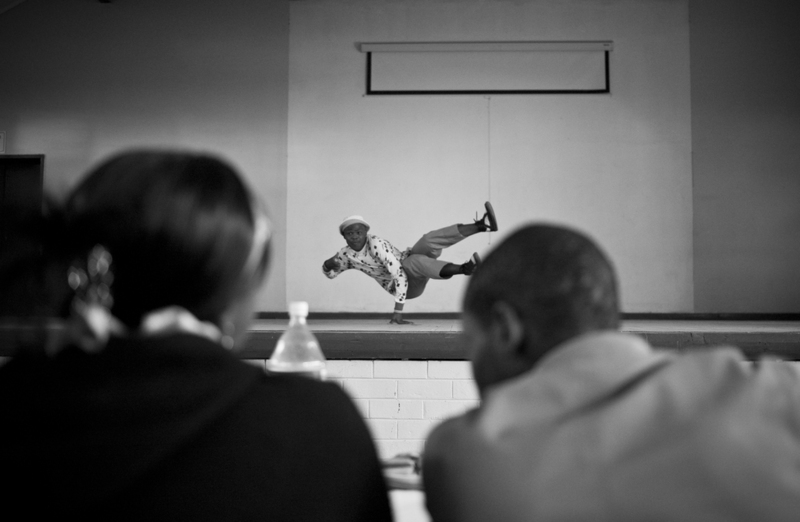 Pantsula is usually associated with tsotsis or thugs but now, through Saunders expose of the Real Actions Dance Crew, its vitality is revealed. 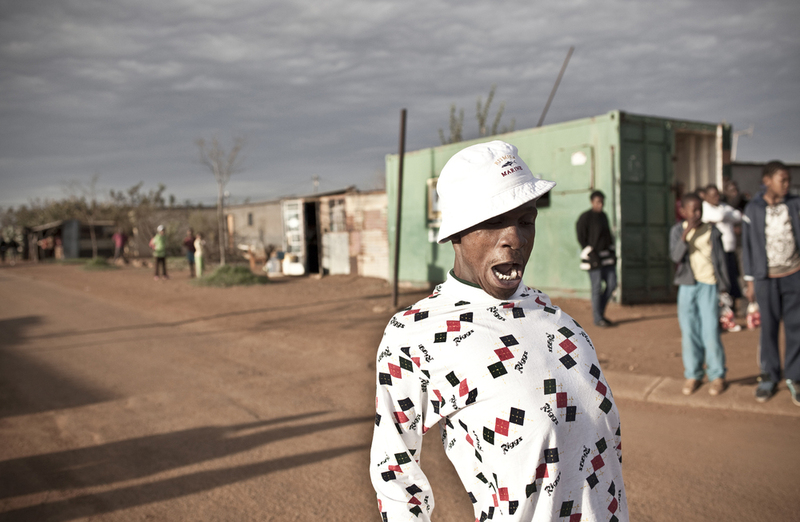 His images reveal the physicality and energy of the style as well as giving a unique glance into the colourful vibrancy of township culture. 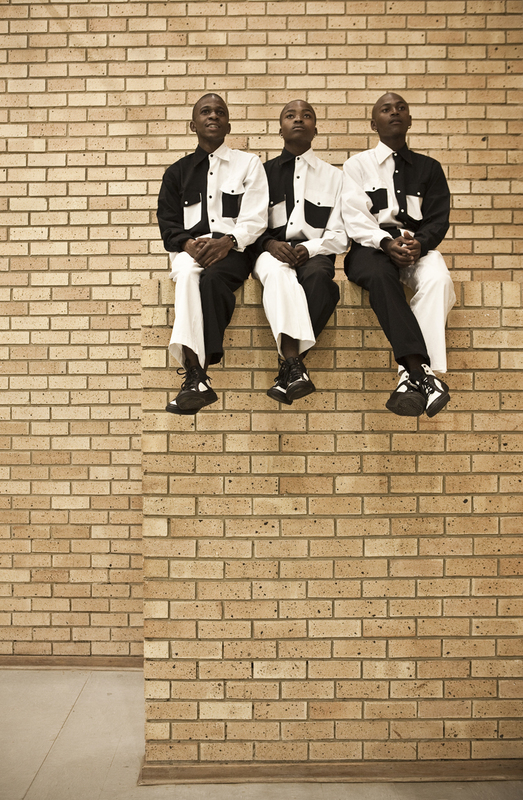 The Real Actions Dance Crew performed live at the opening of the exhibition on Saturday 20 August 2011. 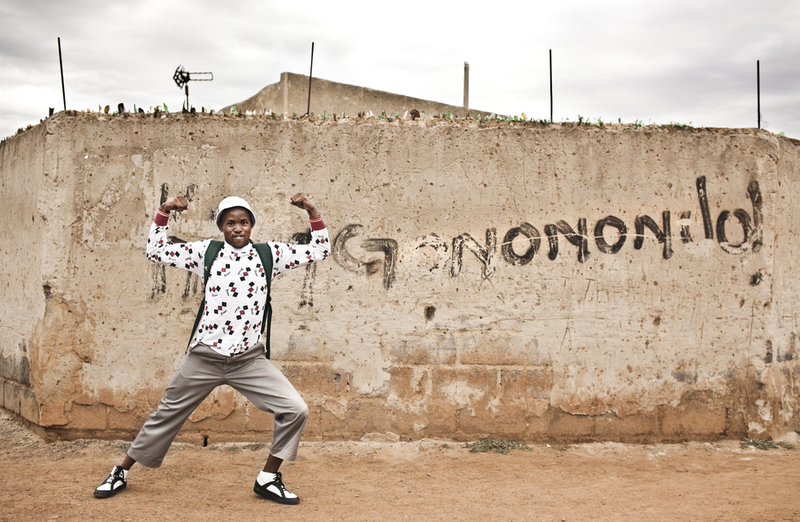 Ekasi Dance Moves Video, Originally presented as part of the S'phara Phara Exhibition at the RES Gallery in Rosebank, South Africa.